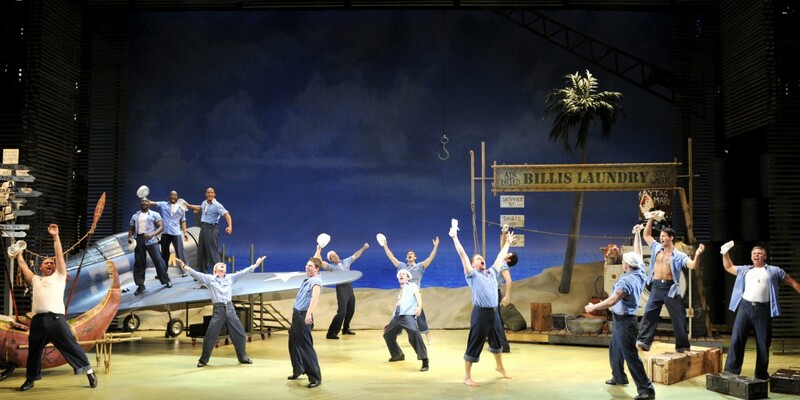 Rodger and Hammerstein’s “South Pacific” opened at the Fox Theatre in St. Louis on Tuesday Night. After each number, there was seldom a time where applause did not flood the glorious 4,500 seat auditorium. Everything – from the magnificent sets, to the incredible singing voices – was simply perfect. 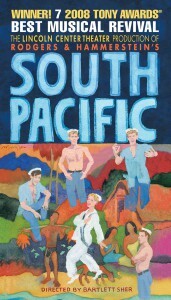 “South Pacific,” based on James Michener’s Pulitzer Prize winning book “Tales of the South Pacific,” is set on an island during World War II. The show tells the story of two blossoming romances taking place on the island. The first is between a Frenchman named Emile de Becque (David Pittsinger) who fled to the island from trouble back home, and a Navy nurse named Nellie Forbush (Carmen Cusack) who is stationed there. The second story belongs to Navy lieutenant Joe Cable (Anderson Davis) and a native girl named Liat (Sumie Maeda). The parallel story of both couples shows the the trials and tribulations of dealing with prejudice and the war going on. 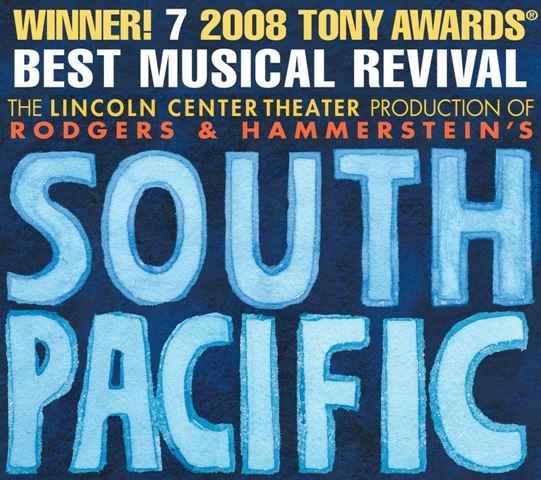 “South Pacific” combines some of Rodgers and Hammerstein’s best work with some of the best voices I’ve ever heard in a Broadway production to emotionally tell their stories. The two main characters of the story, Emile and Nellie, are played by two actors with unbelievably stunning vocal abilities. From the moment that each of them opened their mouths and begin to sing, you could feel the entire audience awe struck. The deep, bass-baritone voice of veteran opera singer David Pittsinger is unlike anything I have heard in a recent production. With over 20 year of experience in opera houses around the world, Pittsinger is able to fill his first Broadway role with ease. Equally impressive is the beautifully classical voice of Carmen Cusack. The show is set in the 1940s, and I can not think of a more talented performer to turn back the clock for this show. With a sound that reminds me of Judy Garland or Julie Andrews, each time she sang was a delight. After a beautiful overture, and hearing Emile de Becque’s children singing “Dites-Moi,” we are introduced to the first song that Nellie sings – “A Cockeyed Optimist.” The song is great, and sounds so smooth with Carmen at the helm. Then comes “Twin Soliloquies,” where both Emile and Nellie sing about their feelings for each other. The combination of the two of them singing together is intoxicating, as Pittsinger’s powerful voice is the perfect compliment to Cusack’s sweet sound. We are introduced to lieutenant Cable around half-way through Act I. Just when you think there isn’t room on stage for more of the caliber of voices we’ve heard – here comes another. Anderson Davis has the perfect look for the role, with the sound to match. His character is cool, calm and collected – and that is exactly what Davis is. He owns the role, as he sings “My Girl Back Home” and “Younger Than Springtime” to name a couple. Beside from the leads in the show, “South Pacific” is packed with a wonderful cast that really make the show a lot of fun. Bloody Mary (Jodi Kimura) introduces us to “Bali Ha’i” after Billis (Timothy Gulan) and the rest of the sailers teach us that “There is Nothing Like a Dame.” Gulan does a great job throughout the show as slick entrepreneur, who provides much of the comedic relief during the production. The singing and dancing from the rest of the sailers and ensemble is great as well. “South Pacific” is a show that took until 2008 to be revived on Broadway, after it’s original run ended in 1949. But it was worth the wait, and there has never been better timing. So many of the topics are relevant, with our Country at war once again and with race being such a relevant topic. The songs are timeless, and translate just as well today as they would have almost 60 years ago. With an incredibly talented cast, possessing voices that set the bar for modern theatre, “South Pacific” is something you don’t want to miss. Rodgers & Hammerstein’s “South Pacific” will grace the Fox Theatre stage for 16 performances, November 9-21! For more information and to purchase tickets, visit fabulousfox.com or MetroTix.com!